On Saturday 17 October Defected and Strictly Rhythm bring the party to London’s Great Suffolk St. Warehouse, for Cream and We Are FSTVL’s We Are WHSE series of events. This autumn, Cream and We Are FSTVL have joined forces to bring you We Are WHSE, a series of parties showcasing some of the world’s biggest DJs inside possibly one of the UK’s most underground, innovative and creative spaces; GSS, Great Suffolk Street, London. Sandy Rivera headlines the Defected In The House show 17 October, playing a set as Kings Of Tomorrow alongside recent Defected collaborators Riva Starr and DJ S.K.T.. Defected residents complete the main room line-up, with sets from Sam Divine, Copyright and Simon Dunmore. Room 2 boasts a Strictly-based line-up with Juan MacLean, Tim Deluxe and Luke Solomon each promising their own blends of electronic music, with all but DJ T. making the trip to the UK for the London show. The line-up reflects those artists who have contributed to a strong release schedule from Defected and its subsidiary labels in the latter part of the year, with releases from The Juan MacLean (‘A Simple Design), Kings Of Tomorrow (‘Burn So Deep’), Tim Deluxe (the studio album ‘The Radicle’) all set for release in the coming months. The party continues Defected’s This Is Our House Club Tour that commenced back in March at London’s Oval Space. 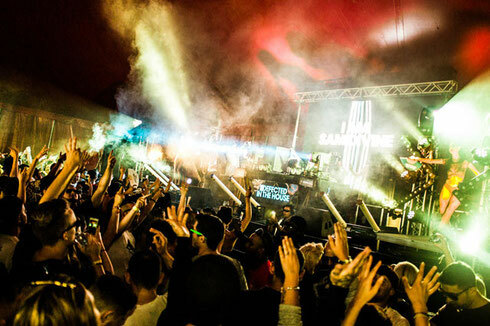 The tour takes in dozens of clubs and festival spaces across Europe and Asia, including Amnesia (Ibiza), Extrema Festival (Holland) Barrakud Festival (Croatia), Shakedown Festival, (Brighton) Sundown Festival (Norwich), EH1 Festival (Edinburgh) and the Amsterdam Dance Event (ADE) showcase at AIR, with many more dates still to be announced.